Olga Many thanks for this post. Following the links I am intrigued and understand the title you used for the writing. Today and for many days to come I will be poking around to look at and think about how these “preserved” specimen are being used in works of art. Truly this is not a topic I have ever considered and appreciate your introduction on Ragged Cloth to this arena of artistic expression. Thank you Kristin. I am glad to have caught your interest. A lot of food for thought here, Olga. 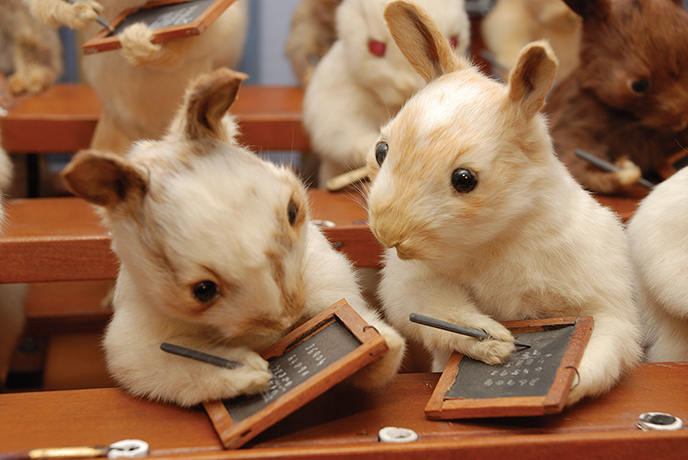 I find the idea of taxidermy distasteful because it’s disrespectful to the animals involved – the whole notion of preserving something that had life, and has subsequently been killed or has died and then displaying it seems to me to be part of the way people in the West approach nature – as something to be used for their own means, it’s all about exploitation. 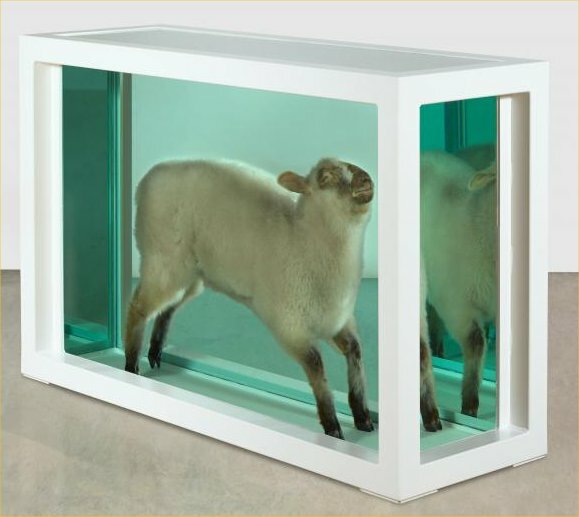 Having said that, I found Damien Hirst’s early work fascinating because it was truly conceptual: he had something to say about life and our mortality. I now feel that he had a good idea which he has been flogging to death ever since, and I have lost interest in his work as he has not said anything new in years. 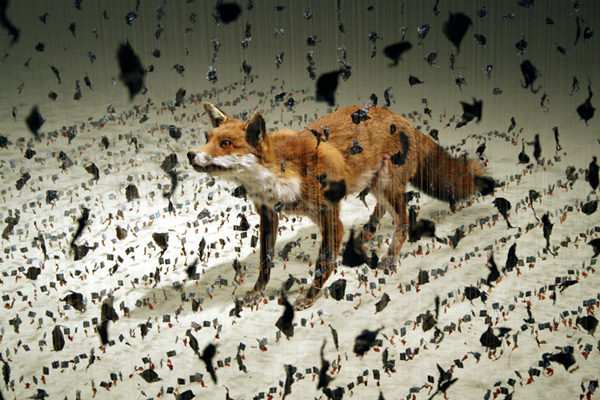 Similarly, Claire Morgan’s work (which I had not come across before) looks fascinating, visually exciting and so intricate. Mesmerising. I would love to see it for real. Shauna Richardson’s work is beautiful and interesting, but she does not use real animals, so it’s different to the work of the others as it’s representational. Thank you for this post, which has given me lots to think about. Eirene, I largely agree with you about taxidermy, except that I can see a real purpose in Natural History museums having didactic models, just as zoos were necessary initially. 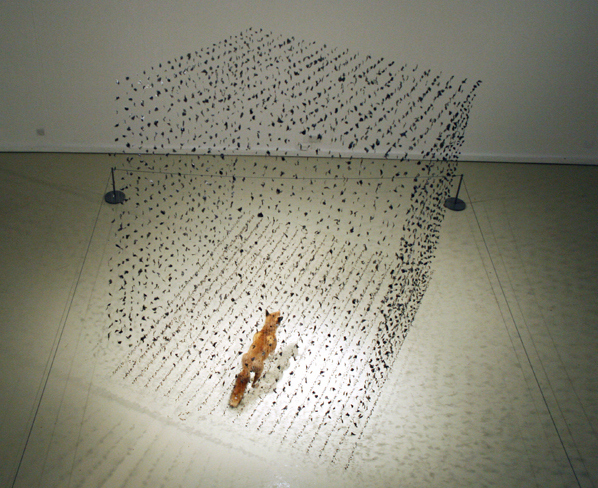 I think that some works of art can use taxidermy to say something worthwhile – say like Claire Morgan, but I am suspicious that the process could become a fashion. I also agree with you about Damien Hirst’s work. I too think that perhaps he has run out of engaging ideas and that the art market has rather facilitated his inadequate repetitions. 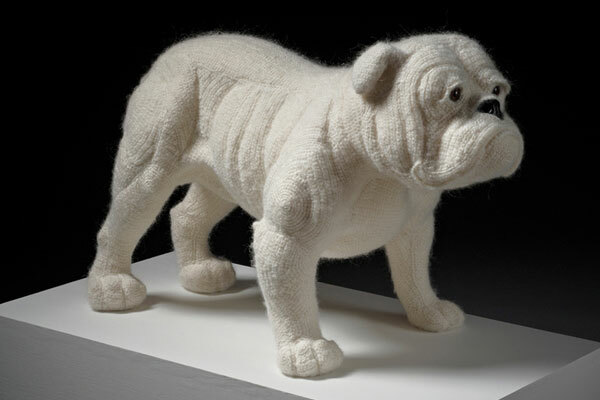 I deliberately wanted to include Shauna Richardson’s work because she presents animals in the way that taxidermy is used, and yet she works with textiles. But I also wondered if the use of the crochet could be seen as an artistic comment on taxidermy – or is it straightforwardly and honestly beautiful decorative work?